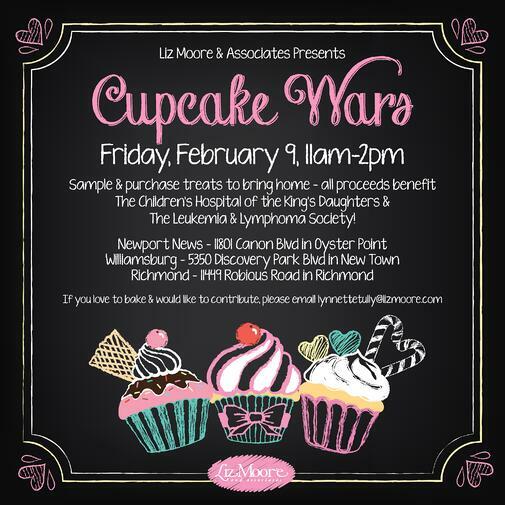 Mark your calendars – our Annual Cupcake Wars fundraiser will be held on Friday, February 9th from 11am – 2pm (or until we run out of cupcakes) in ALL THREE Liz Moore offices! Get creative and donate your prize winning treats, or stop by and pick up some baked goods for your sweet tooth. All proceeds will go to CHKD and The Leukemia & Lymphoma Society.